On March 22, 2019, Professor John Dewar, Vice-Chancellor and President of La Trobe University, Australia and the university’s leadership, including Pro Vice-Chancellor Kelly Smith, Associate Pro Vice-Chancellor Amalia Di Iorio, and Mr. Nandi Lakshmanan, Manager, International Business Development Office of La Trobe University visited and worked at Hanoi University. Assoc. 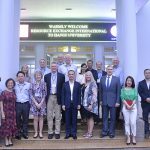 Prof. Dr. Nguyen Van Trao – President of the Hanoi University and leaders of departments and offices welcomed the delegation at the reception. 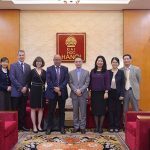 On the occasion of Professor John Dewar’s first visit to Hanoi University, Assoc. 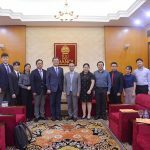 Prof. Dr. Nguyen Van Trao spent time exchanging and introducing the development history, strengths and achievements of the university in recent years. 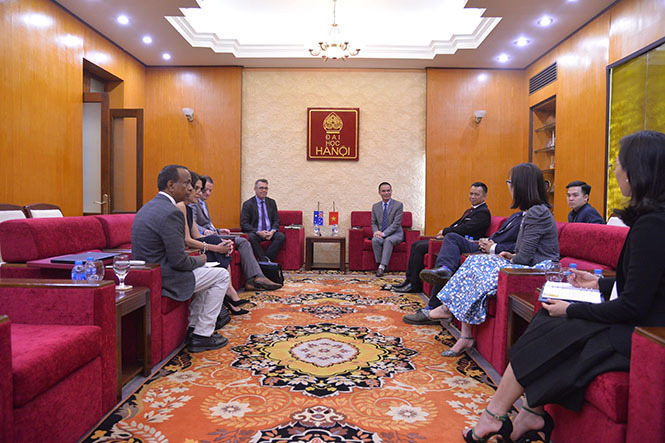 President Nguyen Van Trao expressed his joy for the achievements in cooperation between Hanoi University and La Trobe University for the past 15 years and hoped that this visit would play an important role in promoting further cooperation between Hanoi University and La Trobe University with new and diverse training programmes to meet the increasing needs of students. At the meeting, Professor John Dewar sent his congratulations to Assoc. 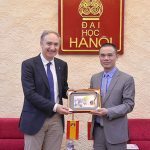 Prof. Dr. Nguyen Van Trao for his new position as President of Hanoi University. 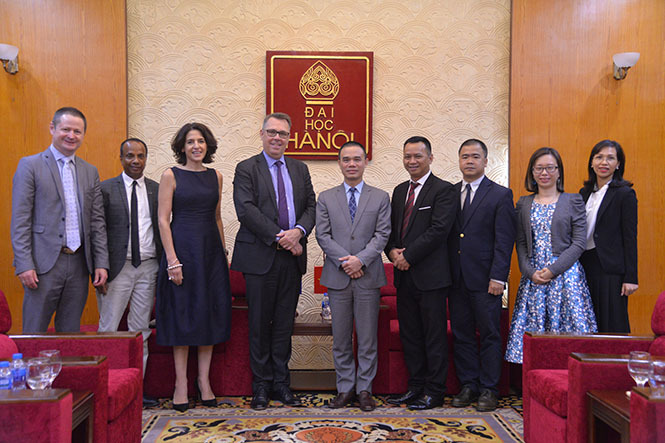 With the great achievements of the University in training and teaching, Professor John Dewar expressed his pride to be one of the strategic partners of Hanoi University. In line with the viewpoint of Assoc. 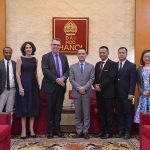 Prof. Dr. Nguyen Van Trao, Professor John Dewar and La Trobe University leaders said that the expansion and development of graduate training programs today is essential to meet the diverse needs of students. The two sides have exchanged on the development of graduate programmes in business administration in the future, expanding the scope of training in areas such as Tourism management, entrepreneurship, to name a few. With the existing conditions and opportunities, this is considered an appropriate time for the two sides to promote their strengths to deploy more quality and diversified training programs to help students acquire necessary skills and knowledge to meet the needs of the job after graduation. 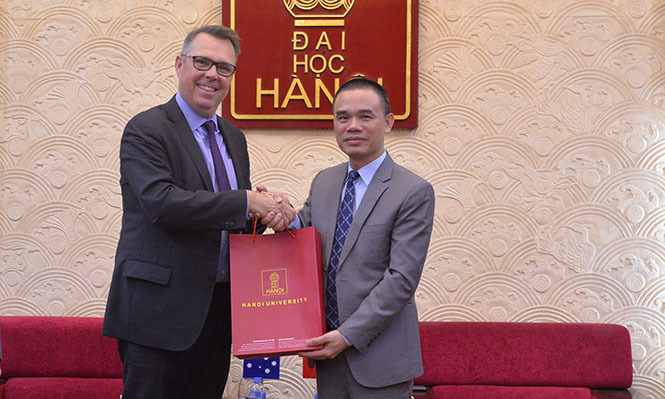 On this Saturday, March 23, 2019, Hanoi University and La Trobe University will hold a Graduation Ceremony for Bachelor’s Degree for students of Marketing and Finance programmes.